With an Xmax of ±12mm, the magnetic field around the coil hits zero at ±10mm, then goes negative. This built-in excursion limiter avoids overdrive and becomes a mechanical form of overload protection. The behaviour of the iron-free motor enables excursions twice as large as a conventional motor would produce and exerts far superior control. For the same SPL, Milot's drive system reduces the necessary membrane surface by half which is key to the miniaturization of his HPAB transducers. More technical details can be found on his website. Already the current Leedh E2 is a unique achievement. 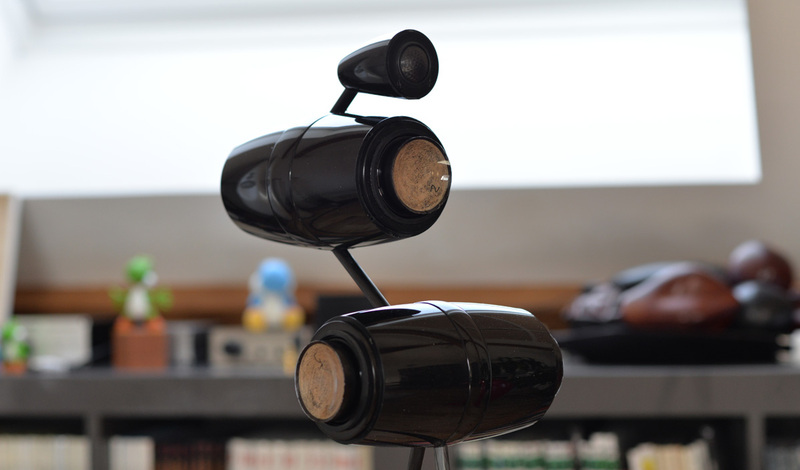 I personally don't know of any other speaker design that's more audacious. 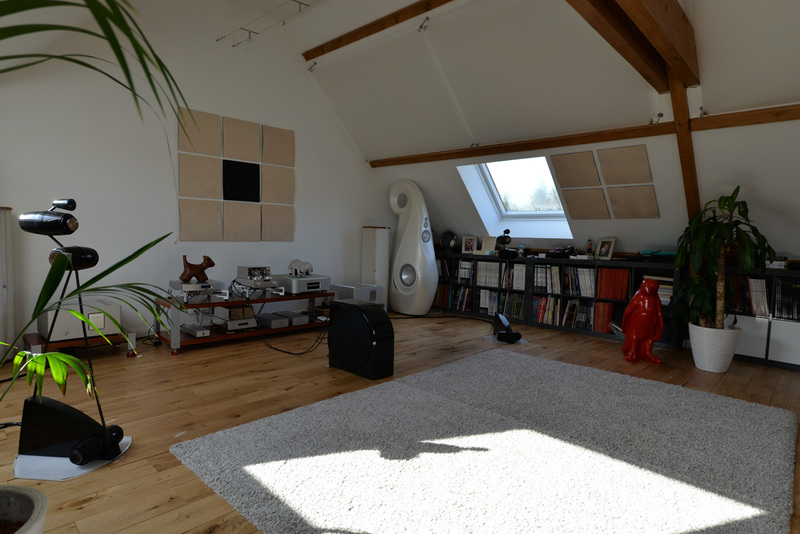 To complement it for large rooms, Gilles Milot has released the 20.1 subwoofer which is quite strange as well and can be used in stereo or mono. It joins, back to back, two 15" woofers in a push/push array loaded into a 16-litre sealed enclosure. Dubbed infinite load simulator technology, behind each 15-incher sits an extreme-throw 9-incher, wired push/push relative to the companion 9" but push/pull relative to the 15". The result is that both 9" drivers loaded into the 16-litre volume displace exactly the same air volume in amplitude and phase as the two big woofers would in open air, making them effectively work as though in infinite volume. Each 9"/15" pair is powered by a 300W amplifier and EQ'd to be down just 1dB at 20Hz (hence the subwoofer's 20.1 nomenclature). Clearly Milot's inventiveness knows no bounds. I feel reminded of a seminar during INSEAD business school. An expert in Japanese industrial and business culture explained to us how Japanese designers always think about future developments to never be content with even their finest current achievements. In that sense, Milot should be one of the last samurais in Western transducer design where most everyone else is content to revisit traditional drivers ad infinitum. Gilles' most current achievement is the Leedh E's evolution to glass diaphragms which replace the prior carbon/epoxy membranes. To my knowledge, this type of crazy initiative has never before materialized beyond conceptual notions on paper or perhaps failed prototypes. Changing just his diaphragm composition without altering other parameters was far from simple. Neither was starting reliable production of glass membranes. The many challenges involved explain why on the prototype pair I started this review with, the tweeters still wore the prior carbon dress. This was addressed during the first serial production. Regardless, considering the technical difficulties and limited market of high-end speakers to begin with, Leedh will undoubtedly remain a hi-tech artisanal boutique operation. Yet technically, this is about true innovation and actually a small revolution or rebellion within the speaker industry rather than an incremental change to traditional designs. Gilles Milot told me that he first had this idea for glass membranes more than ten years ago. A few others might have tried to produce glass diaphragms but nobody succeeded. The interest in such membranes resides in their amorphous makeup which outclasses all other types of granular materials. Milot thinks that glass could have sonic qualities unsurpassed by even diamond but that remains conjecture at this stage. The plain challenge is producing unbreakable glass at 100 microns thin. A glass Christmas ball is already 150 microns and extremely fragile. An incandescent light bulb is about 170 microns. Now we appreciate why it took 10 years for Milot's glass diaphragm to become reality. Apparently mineral glass cannot be processed by modern physical vapor deposit machines as are used for diamond coatings and related surface treatments. As such, nobody else without the necessary industrial background to manufacture complex shapes from exotic materials would have been prepared for the involved challenges (which probably means 90% of all current speaker manufacturers no matter their fame). Because I'd already auditioned his standard E2 model with very good results, Gilles asked if we could do some critical listening to his glass prototypes. 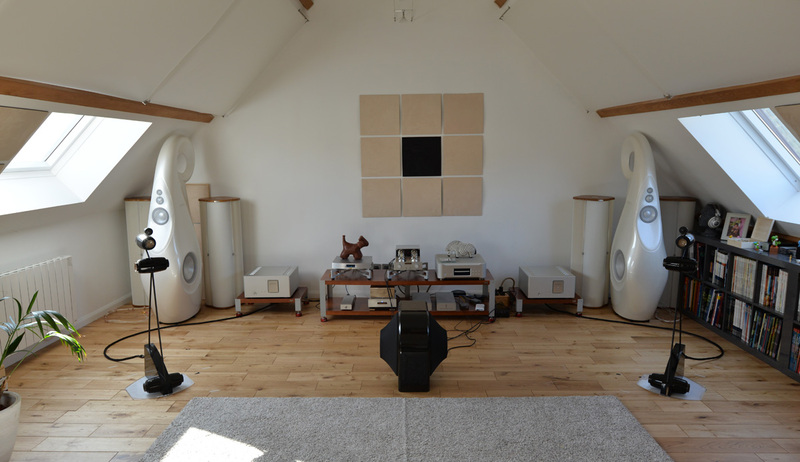 My first experience with his E2 and companion 20.1 subwoofer had been very positive. I'd been impressed with its soundstage scale and accuracy which were almost comparable to the big Magnepan 20.7 and my reference Vivid Audio G1. 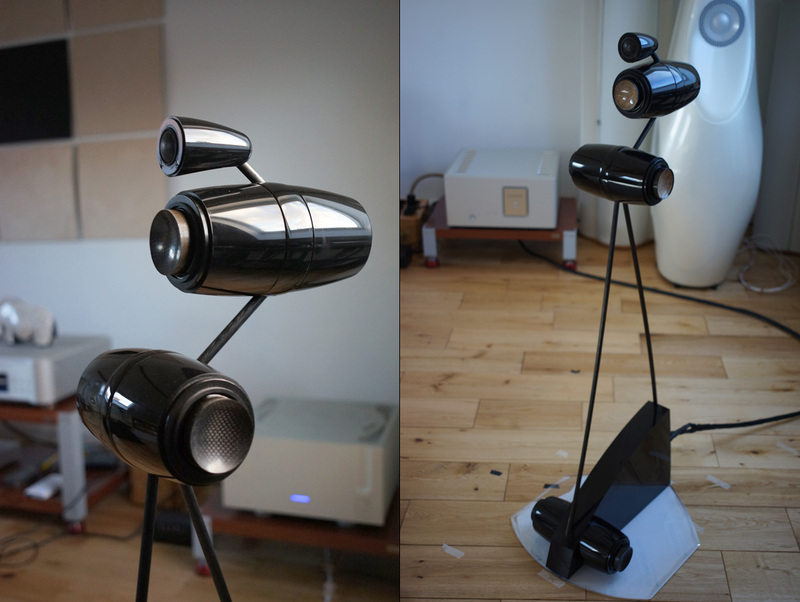 Once one is used to such big sonic panoramas, it's very difficult to come down to smaller speakers with smaller images. Here the Leedh E2 confounded expectations by casting a virtual stage which, on stability and precision, was close to the big Maggies, indicating state-of-the-art behaviour in the phase/time domain. The absence of typical enclosures also made them sit on the slightly cool side of neutrality, albeit with a rather diversified tonal palette. In terms of dynamics and speed, my absolute reference remains the Vivid Audio G1 which sounds like a true sports car compared to all others I know, Wilson Audio included. Surprisingly, here the Leedh E2 clearly bettered the Magnepan 20.7 though they were not comparable to the Giya due to their low 83dB/1m/2.83V sensitivity. So what about the Leedh E2 Glass? I should first remind you that my loaners were an effective hybrid in that each unit included already four glass membranes but the tweeter and one bass unit each were still the older carbon/epoxy. Just so, Milot's measurements on this pair were strictly identical to the former E2 production version. Despite such analytical inertia, the audible difference was more than obvious and indicated a huge improvement. 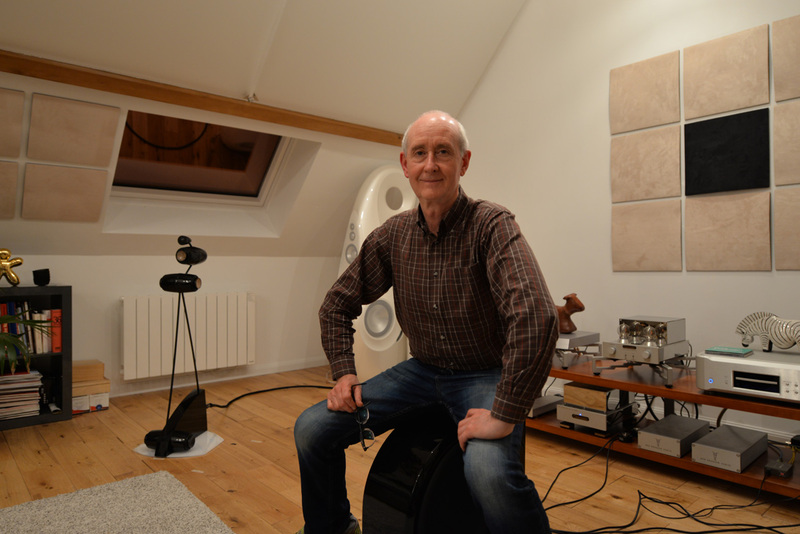 A small step forward for acoustic measurements but a giant leap for human ears? It's always difficult to highlight precise improvements when the reference point was already very high. Still, the Leedh E2 Glass delivered further transparency, speed, harmonic profusion and tonal diversity and not by a small margin. They simply outshone the carbon/epoxy version. In fact, they sounded as though Milot had finally met his theoretical ideal of acoustical beauty. The Glass version sounded prettier and at the same time more accurate, especially on transients and timbres. I also felt that they better blended with the 20.1 subwoofer, perhaps due to their increased speed or higher harmonic richness. During the last three days with the Glass prototypes, I wasn't able to localize the subwoofer at all, so flawlessly did it integrate. At the same time, the higher transparency provided me with more nuance in the lower midrange and higher precision and detail recovery. In my early opinion, the E2 Glass had their own sound to make for a ground-breaking experience not even comparable to diamond drivers. 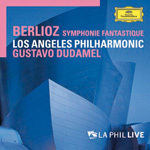 Listening to the Symphonie Fantastique with the Los Angeles Philharmonic under the energetic Gustavo Dudamel [Deutsche Grammophon], the E2 Glass delivered far richer tones than my Vivid, with almost as much detail, better separation between instruments and a darker background. I noticed a bit less authority in the bottom end but couldn't claim that the E2 Glass in this area were unsatisfying. They were undoubtedly better than many conventional speakers I previously hosted. On Jean Rondeau's harpsichord album Bach: Imagine, the instrument had superb decays without sounding bright in the treble. The generous and textural lower mids of the E2 Glass delivered a very natural result. Keyboard articulation and rhythm too were most accurate. Indeed, one very addictive feature of the E2 Glass versus the original version and the Vivid G1 was the quantity of information and nuance in the lower midrange. It was perhaps the most convincing performance I have ever heard in this bandwidth. I also appreciated the holographic energy of string instruments which I am used to with my Vivid Audio speakers and which is so delightful to my ears. They produced so open and transparent a sound, they drew me into a truly unprecedented experience. My instincts thought that a glass diaphragm on the tweeter would magnify this already impressive result even further. It thus became a most exciting prospect to formally review the definitive version of the Leedh E2 Glass with one pair of 20.1 subwoofers. I had not been this excited and impatient to receive a pair of speaker loaners in a very long time. These definitely push the boundaries back further than I would have expected or believed possible. I tend to be less and less impressed by new loudspeakers but this time, I felt like a little boy again who eagerly awaits Christmas and the first clatter of reindeer hooves on the roof!